On November 29, 2018, the first version of the ECU software for the ECLAIRs instrument was delivered. This computer, called Gamma Camera Management and Scientific Processing Unit, will be set on the Franco-Chinese SVOM satellite, designed to study gamma-ray bursts. It will allow the management of the ECLAIRs instrument and the detection of gamma-ray bursts by the SVOM mission in real time on board. This software, under the scientific responsibility of the DAp, is produced in strong collaboration between the DAp and the DEDIP within the IRFU. To develop and validate this software, a hardware model of the ECU was provided by the CNES. 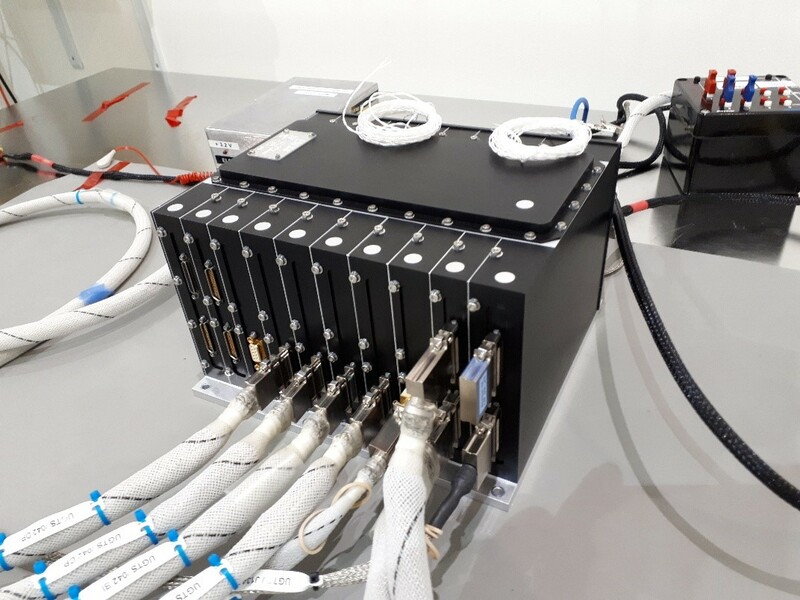 Today, a first version of the software, which does not yet include scientific processing, is integrated into the engineering model of the UGTS ECU (photo), which is currently being sent to Shanghai to be assembled on the SVOM satellite model. IRFU teams are now working on the development of the "flight model" version of the software, which will be integrated into the flight computer in 2020. Therefore, it will include the scientific triggers to generate the gamma-ray bursts detection alert. Then the integration of the UGTS into the ECLAIRS instrument will follow, pursued by ECLAIRs on the SVOM satellite. The mission is scheduled to be launched at the end of 2021.